Product prices and availability are accurate as of 2019-04-19 03:46:34 UTC and are subject to change. Any price and availability information displayed on http://www.amazon.com/ at the time of purchase will apply to the purchase of this product. This authoritative work offers guidelines for interviewing children of different ages--as well as their parents and teachers--and for weaving the resulting data into multimethod assessment and intervention planning. K-12 school psychologists and other practitioners learn specific strategies for assessing school issues, peer relations, emotional difficulties, family situations, and problem behavior. Stephanie H. McConaughy is joined by two other leading experts who have contributed chapters on assessing suicide and violence risks. In-depth case illustrations are woven throughout. 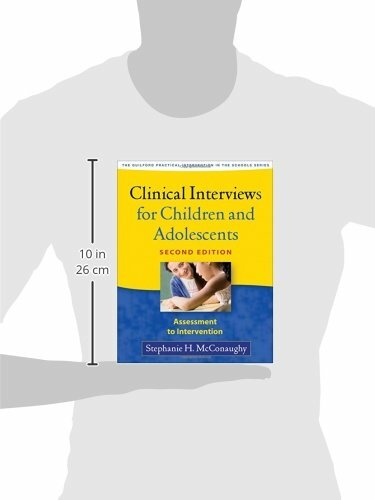 In a large-size format with lay-flat binding for easy photocopying, the book includes over a dozen reproducible interviewing tools. Purchasers also get access to a Web page where they can download and print the reproducible materials. *Incorporates the latest research on child and adolescent problems and clinical interviewing procedures. 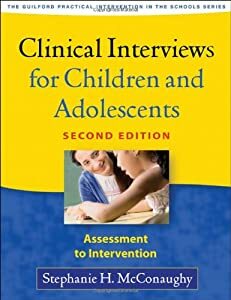 *Additional interviewing tool: Semistructured Student Interview, which focuses on the topics most relevant to academic and social functioning. *Guidelines for interviewing culturally and linguistically diverse children and parents. *Up-to-date information and assessment strategies related to bullying and victimization, inappropriate uses of technology (such as cyberbullying and "sexting"), and challenges facing gay, lesbian, and bisexual youth.